As someone who very visibly fosters orphaned kittens on social media, I receive a lot of questions about both their care and about how I fit fostering into my life. One of the most frequent questions I receive is how I feel about saying goodbye once it’s time for a kitten I’ve raised to get adopted. Sometimes this question is posed as though it must be hard for me: “How on earth do you possibly part with a kitten after raising them since they were a newborn?” Much of the time this question is followed up by an assertion that they could never give up a foster kitten, and that because of this, they could never foster. Here’s the thing: “goodbye” is the goal! “Goodbye” is your parameter for success. If you can take a kitten from being an orphaned infant all the way up through being an adoptable 8 week old, this is how you know you’ve succeeded in saving a life. My entire goal when I take in a new foster baby is to get them fat and healthy so they can get adopted into a loving forever home. I’m interested in saving their lives. I certainly do not foster because I want more cats! Our perspective on the relationship between humans and animals can be pretty self-centered –. we often make decisions based on what’s best for us, and not what’s best for them. We don’t have a terrific framework for how to love someone without possessing them as property. 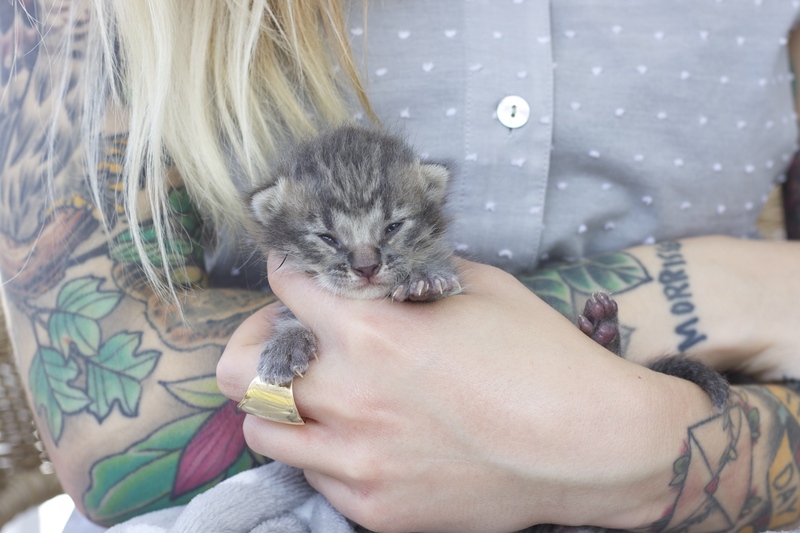 This skews our capacity for meeting the actual needs of these vulnerable kittens, because of course, when a baby becomes orphaned, they don’t need an adopter right away. They need an immediate safe haven so that their bodies can be warm, their bellies can be full, and their tiny lives can have a fighting chance. They need a hero and they need someone brave enough to care for them. They need a kitten warrior. When we inject these scenarios with so much of our own dramatic emotion (“I would keep every kitten until I had 50 cats!”) it’s an easy way to write off actually helping save lives. It’s very discouraging to hear that people don’t foster because they “couldn’t possibly say goodbye.” Saving lives doesn’t have to be dramatic and it doesn’t have to be hard – it’s about setting a goal and accomplishing it. Set the goal to save a life this year, and celebrate when you do it successfully. Throw a going away party and commend yourself for being the reason that this kitten now gets to know love for the next 20 years. My personal goal is to save as many lives as possible, in a measured, sustainable, and fun manner. This means setting limits and boundaries on how many animals I’ll work with at once, it means taking breaks when I need to, and most importantly, it means getting them fast-tracked for adoption so that I’m not holding onto kittens any longer than I must. Get ‘em in, get ‘em out. Flip kittens like a used car salesman. Rejoice when they leave! On Saturday, April 23rd, at 10:00am EST, I will be hosting a live stream of a going away party for my current fosters, Bruno and Boop. 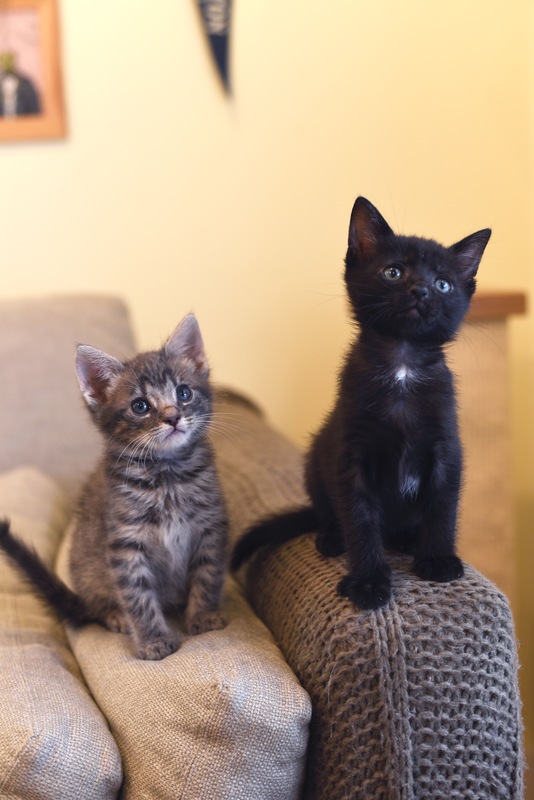 You’re invited to join us live on YouTube to celebrate the success of these two kittens, who both had such horrifically rough starts to life, and who are now healthy and happy and getting adopted into a fantastic home. meowbox is supplying them with a going away gift which they’ll open live on YouTube, and I’ll be answering all your questions about fostering. Join us live, and let’s send them off with love! If you miss out, you can always watch the recording later. As for this Kitten Lady, I am overwhelmed with happiness when I say goodbye to a kitten. There is nothing as satisfying as knowing you’ve saved a life, and knowing that you’ll be able to continue to save lives. Goodbye is the goal, and parting doesn’t have to be sweet sorrow – it can just be sweet. Find Kitten Lady on Instagram, Facebook, Twitter, YouTube, and on her website. 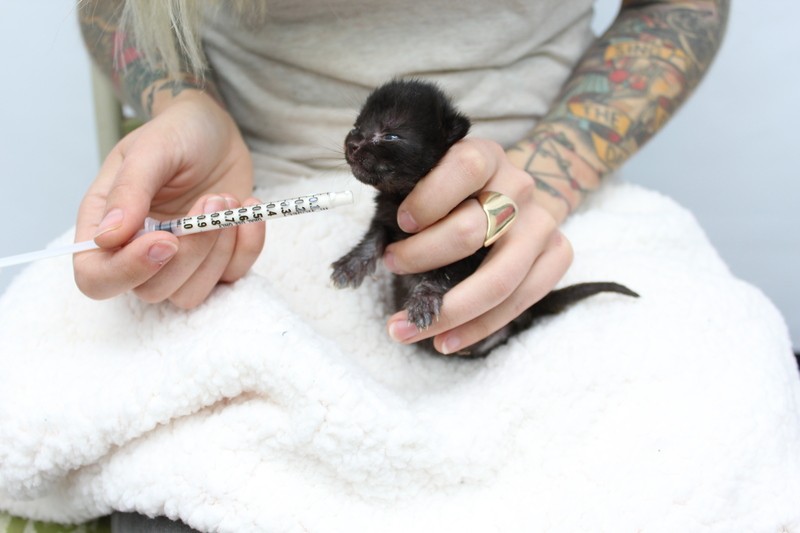 If you’re inspired by the project, consider making a lifesaving donation to KittenLady.org.